What makes the Relax far infrared sauna different? 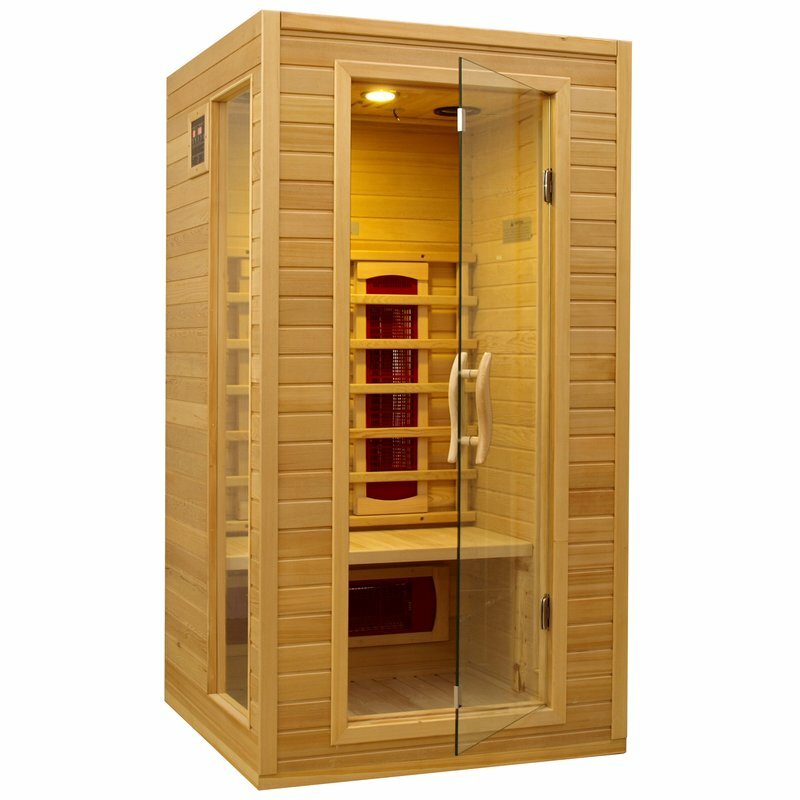 See the comparison to other infrared saunas. There are 2 main types of infrared saunas you will see on the market, Wooden infrared saunas and portable infrared saunas. Wooden infrared saunas look really nice but what really matters for your health is the quality of the far infrared generators. Most wooden saunas use ceramic heaters much like the small space heaters you can buy for your home. They heat up the sauna good but only emit 40-60% infrared ray. Other wooden saunas use carbon fiber panels which emit EMF over large areas and still only emit 40-60% far infrared. So they use marketing tactics of calling it "full spectrum infrared" or near infrared because their generators do not have a clean far infrared output. Far infrared is the frequency of infrared which you body absorbs the best. Click here to learn about far infrared energy. ​Of those who have purchased the Relax Sauna, or have tried the Relax Sauna at expos, many were surprised that the Relax Sauna heated up in less than 30 seconds, liked the fact that the head could stick out, loved the portability of it, but the most important factor, is that the Relax Sauna felt so much better, and appeared to detoxify them more effectively than any other Sauna, plus the fact that the Relax Sauna did this in 1/3 or 1/2 the time. They also liked the fact that the Relax Sauna could be used very effectively in a 5-10 minute session with their clothes on for pain and stress relief, relaxation and for vitality and rejuvenation. Many wonder how the Relax Far Infrared Sauna (95-99% pure - NOT 40-60% like most of the Quality Wooden FIR Saunas) compares to the effectiveness & technology of the many quality wooden FIR Saunas. Click here to read why people who already own a wooden sauna are buying the Relax sauna. Portable Infrared Saunas - There are many imitations which look like the Relax Far Infrared Sauna but none have the same patented far infrared generators. ​Above is a patented ceramic chip that only the Relax far infrared sauna has. This chip is tuned to emit a certain frequency of far infrared in the 4.4 to 14.4 micron range. This is the perfect range of infrared for the body to absorb. Because of these chips(the Relax sauna contains 48 of them) the sauna emits both the highest and cleanest levels of infrared compared to any other sauna. Here you can see the 2 radiators in the Relax sauna. Each radiator has 24 ceramic chips. What far infrared generators do other portable infrared saunas use? A cheap infrared sauna that uses carbon panels. In the image above which shows the inside of a cheaper imitation sauna you can see the infrared emitting panels on the walls of the sauna. The "hot plates" use electrical wires and carbon panels to emit infrared. The problem with these are 3 fold. 1. They surround your body in EMF radiation. 2. They do not emit high levels of far infrared. 3. The frequency of infrared is not as pure as with the ceramic chips of the Relax Sauna. A steam sauna posing as an infrared sauna. Beware of cheap steam saunas posing as infrared saunas! 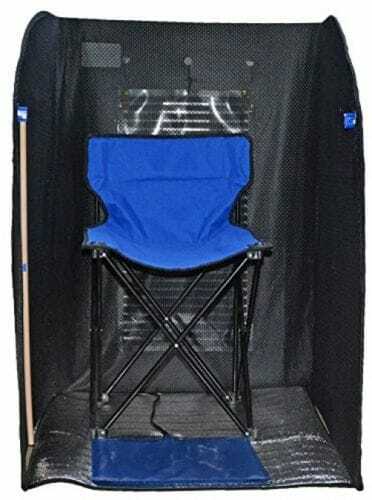 The image above is a very cheap infrared sauna being sold on Walmart's website. 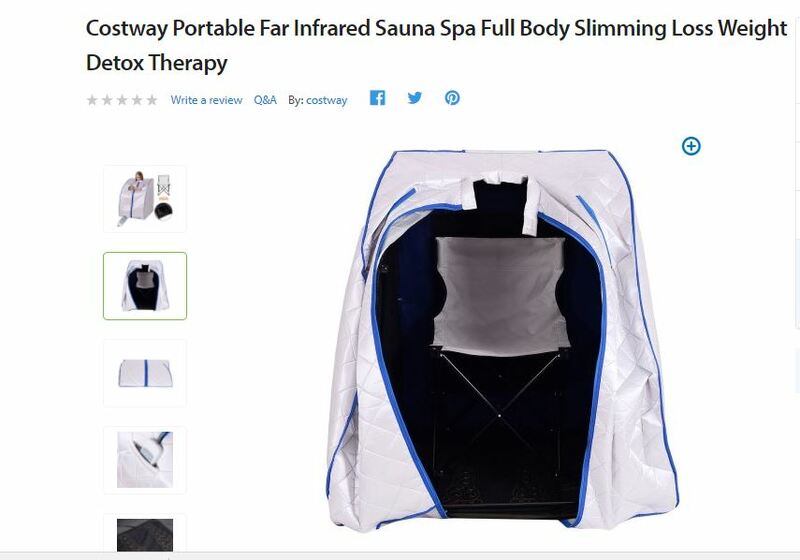 It claims to be a far infrared sauna in the title but the only infrared generator are in little foot pads that are included. The heat from the sauna is actually made with a water boiling pot that is included! Here is another comparison of the Relax sauna with other saunas. This goes over the patented far infrared emitting chip that is only in the Relax Far Infrared sauna. Here also is an excellent inspiring video on one lady's take of the difference between the Relax Sauna and another sauna she previously owned. Read the story here about how the owner, Phil Wilson, who use to have a cheaper infrared sauna, discovered the Relax sauna and his experience in finding out how much faster it heated up and how much better he felt when using it. In the following video Phil explains what makes the Relax far infrared sauna different than the other infrared saunas. The Relax Sauna is a VERY LOW EMF Sauna. There is less than .5 mg of EMF everywhere where your body sits in the Relax Sauna. Wooden saunas and inexpensive Chinese-made Saunas have panels all over, which generate EMF. The Relax Sauna generate most of the FIR Energy by bouncing off the Tent Walls (which have silver embedded in it, which hence acts as a mirror). and hence NO EMF is generated off the walls.) It is interesting to note that some of the healing magnets have more EMF than the Relax Sauna Radiators, and that a Wheat Grass Juicer, or a VitaMix will have 6 times the EMF of the Relax Sauna radiator. It is also worthy to note that the Relax Sauna generates about 99% pure Far Infrared Energy, and is therefore more effective in anti-doting EMF than a wooden sauna that generates only 50-60% FIR energy. 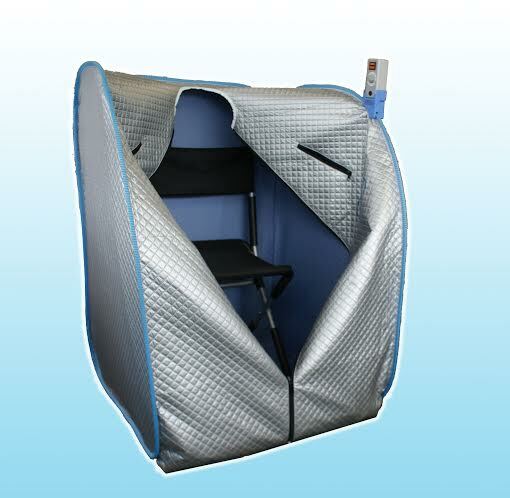 Buy the Relax Far Infrared Sauna, sit up or lie down models available. Why buy the Relax Far Infrared sauna? The highest quality far infrared - you will feel the difference and get the fastest health benefits and detoxing. The Amazing Health Benefits of Far Infrared - This in reality includes dozens of reasons to own a far infrared sauna. Scientists and doctors are finding many many health benefits of far infrared energy everyday. Heats up fast - saves you time. You can get a full sweat in 20 minutes because it heats up in only 30 seconds. Many saunas take 10 minutes to heat up. 1 year warranty but many last 10+ years. The entire sauna is covered by a 1 year warranty but the build quality is so high that we have people who have been using their Relax sauna for 10 years. We offer low cost repairs and spare part replacements to ensure your investment in your health will last for years. 30 day no risk trial. Order today and if you don't love it after 30 days of regular use, you can send it back for a full refund.